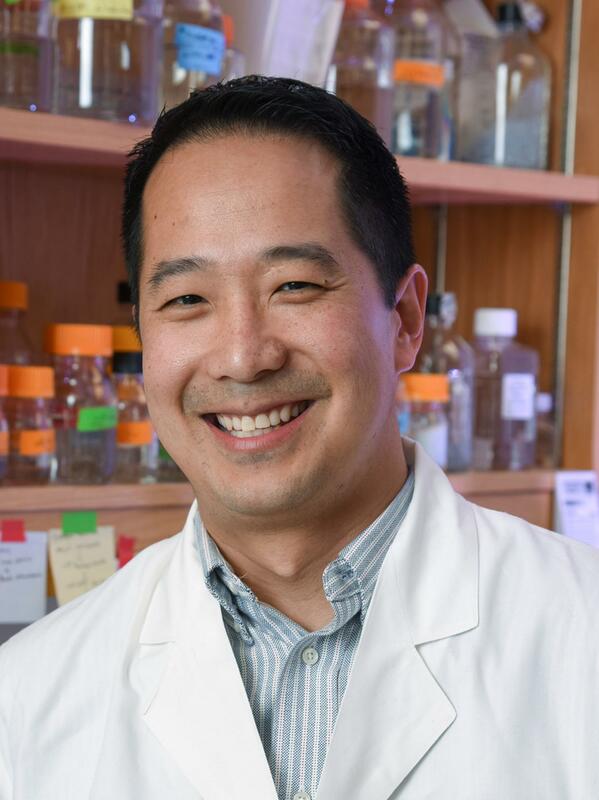 DALLAS – May 30, 2018 – UT Southwestern biochemist Dr. Benjamin Tu has been selected as one of 31 finalists for the 2018 Blavatnik National Awards for Young Scientists for his innovative studies of molecules that could help improve treatments for cancer and conditions associated with aging. Dr. Tu's research uses both yeast and mammalian cells to study complex DNA-regulating processes that are linked to the internal workings of cells. "The influence and importance of the metabolic state on cell regulation are far too often overlooked and we aim to decipher these very complex mechanisms," said Dr. Tu, Associate Professor of Biochemistry, who holds the Martha Steiner Professorship in Medical Research. "Our research has begun to show that small molecule metabolites play underappreciated roles in the regulation of growth and survival of cells." Dr. Tu's laboratory opened a new area for investigation with findings that identified chromatin methylation as important to the production of the amino acid cysteine – results that suggest methylation might be as important to metabolism as it is to gene expression. "UT Southwestern is fortunate to have innovative scientists like Ben, whose discoveries in metabolism and biochemistry have revealed how intracellular levels of intermediary metabolites coordinate cell growth and physiology," said Biochemistry Chair Dr. Margaret Phillips, who is also Professor of Pharmacology and holds The Sam G. Winstead and F. Andrew Bell Distinguished Chair in Biochemistry. Dr. Tu, a UT Southwestern Presidential Scholar and a W.W. Caruth, Jr. Scholar in Biomedical Research, began his groundbreaking studies by examining yeast and has since obtained similar findings in mammals. Dr. Tu previously has been recognized with the Norman Hackerman Award in Chemical Research, the Damon Runyon-Rachleff Innovation Award, a Packard Fellowship, the Burroughs Wellcome Fund Career Award in the Biomedical Sciences, and the AAAS/Science/GE Healthcare Young Scientist Regional Award Winner for North America. Last year, he was also a finalist for the Blavatnik National Awards. Dr. Tu earned bachelor's and master's degrees in chemistry from Harvard University and a Ph.D. in biochemistry and biophysics from the University of California, San Francisco. He joined the UT Southwestern faculty in 2007 as an Endowed Scholar. The Blavatnik National Awards for Young Scientists, established by the Blavatnik Family Foundation and administered by the New York Academy of Sciences, celebrate the excellence of outstanding early career scientists and engineers from institutions across the United States. Finalists will be honored in September when three Blavatnik Laureates are recognized.